Former National Security Agency contractor Edward Snowden has frequently said that he does not regret blowing the whistle on the agency’s mass surveillance programs. However, he has now stated that he would change one thing if he could do it all again. He would have leaked the information earlier. Snowden made the comment during an online question-and-answer session on Reddit, known as an AMA (Ask Me Anything). Joined by journalists Laura Poitras and Glenn Greenwald, who helped break the first batch of stories based on his leaks, Snowden answered a number of questions from Reddit members. 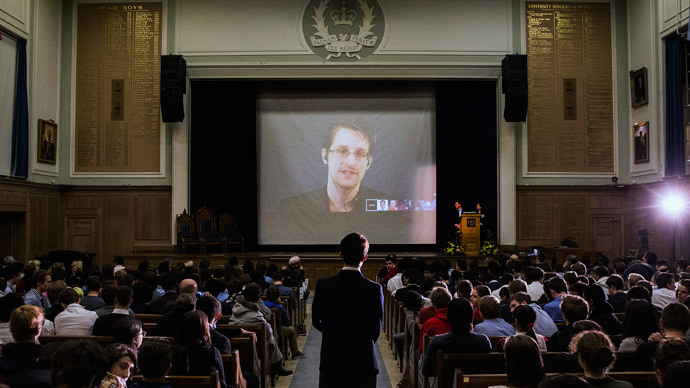 “Don’t let it happen in your country,” Snowden concluded. Another user asked if it was depressing to know that not much has changed since the NSA revelations became public, but both Greenwald and Snowden resisted that contention. Greenwald noted that while the American government has not tried to rein in its surveillance power, the court system has been activated and private companies like Facebook, Google, and Apple are being pushed to implement stronger protections into their products. Funniest thing about that Snowden AMA so far is that his primary reddit account has been suspended. Hahaha the NSA has fingers everywhere! With much of the media focusing its sights on the 2016 presidential election, Snowden was asked how to ensure the NSA’s surveillance practices become a significant issue on the campaign trail. He pointed towards activism and organizing as important factors, but added that governments will not reform themselves without consistent pressure from the people. “We'd do well to remember that at the end of the day, the law doesn't defend us; we defend the law. And when it becomes contrary to our morals, we have both the right and the responsibility to rebalance it toward just ends,” he said. “The answer is ‘of course not,’” he said, dismissing the claim as speculation which has no proof behind it. “If I were a spy for the Russians, why the hell was I trapped in any airport for a month? I would have gotten a parade and a medal instead,” he said. On a lighter note, one user asked about a joke made during the Oscar ceremony by actor Neil Patrick Harris, during which he said that Snowden could not be at the show “for some treason.” Greenwald had called the joke petty and “irresponsible” – comments he told Reddit were blown out of proportion – but Snowden came at them from another direction.